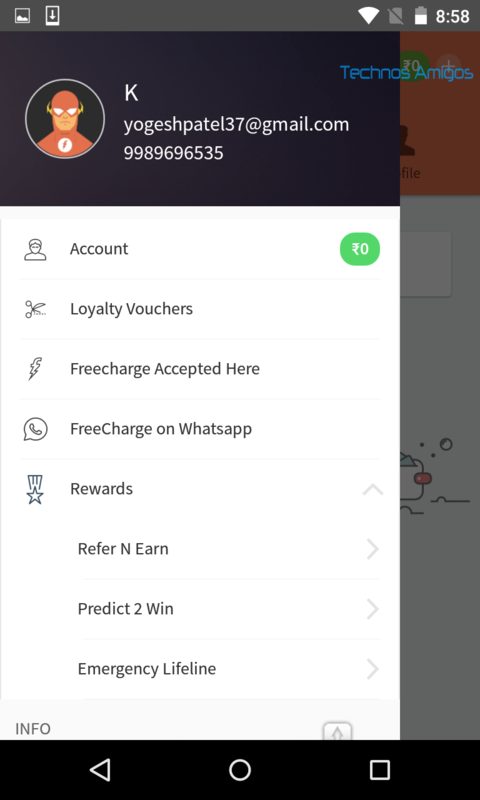 Along with PayTM, Freecharge is one of the fastest growing mobile recharge app for Android and iPhone and from time to time they have introduced new features which people are loving it. I just loved their newest concept of ‘split the bills’, loved the ad especially. Today they took a step further into Digital India as they have added ‘Chat n Pay‘ feature. 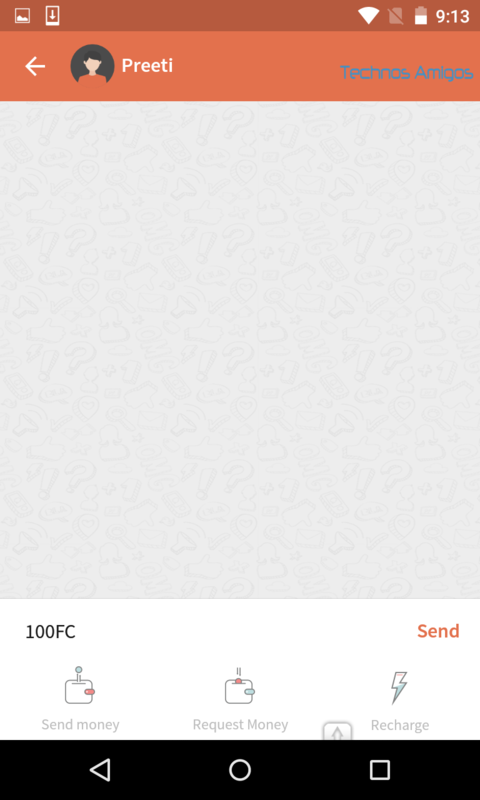 Using FreeCharge’s Chat n Pay feature you can send money or recharge using Freecharge on WhatsApp. 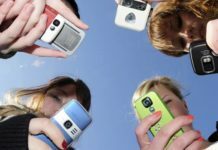 It’ means that you can easily recharge your friends mobile number just by typing a single word. How is it possible? Read the article, you will know about it. 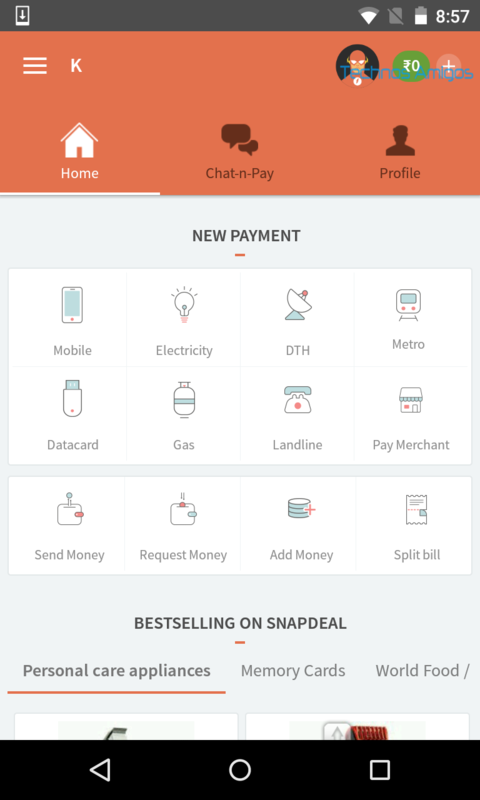 Chat n Pay is one of the newest addition to the Freecharge app. The freecharge app development doesn’t come to an end, they have interesting ideas coming and coming. To send money or recharge using Freecharge on WhatsApp, you actually don’t have to do anything. 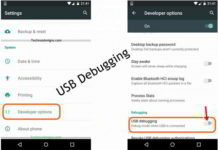 If you are existing Freecharge user, then just make sure that you are running the latest version of the app and then follow the process mentioned below. Also ensure that you have Freecharge Balance in your account. Open your FreeCharge app and login. 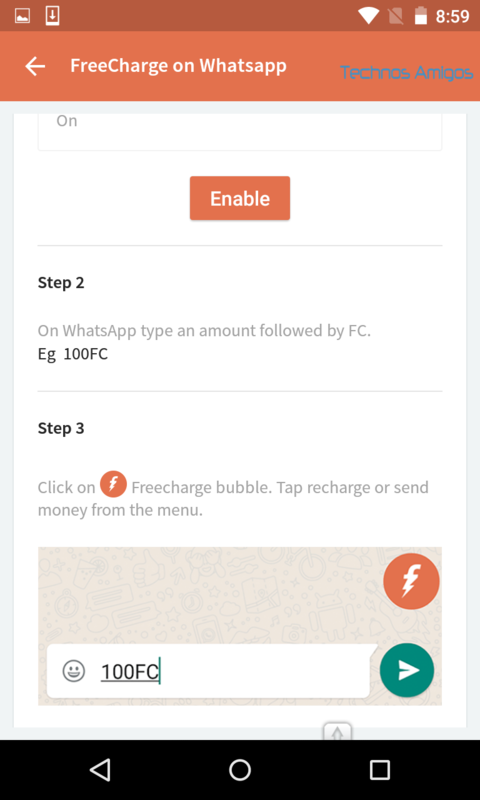 Now through FreeCharge Settings you should go find ‘FreCharge on WhatsApp‘. [third option in row] and tap on it. Now just tap on Enable. Open FreeCharge app and then click on Chat n Pay. Search for your friend and in the text field just type ‘100FC‘ or 200FC or whatever amount that you want to send followed with FC. 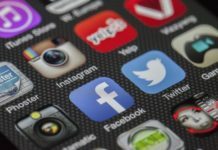 You have three options – Send Money, Request Money and Recharge. Select whichever applicable from your end. That’s how you can send money instant to your near and dear ones. I hope you enjoyed the tutorial and do share this with your friends, subscribe for email updates.